At a recent training session, the topic of what to do with filters if you've used them but don't want to have them influence what's being displayed - but you still want them on your report. Obviously, you can throw filters away. But, in doing so, the filter's settings won't appear on the report. In the Filter Settings box (top right) you'll see a small check box. This is the On/Off button. Check in the box, the filter's on and the settings are reflected in the workflow. No check in the box, and the settings are not reflected. Where this comes in handy is when you're using an edge detection filter, like Sobel, and you don't want your image/video looking like a modern art masterpiece. Once you've found your edges and performed task that required knowing the location of the edges (like Measure 1D, etc), turn the filter off. In this way, your filter use is reflected in the report. 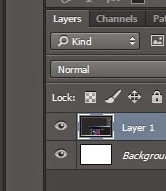 Think of this like turning on/off layers in Photoshop. Many thanks to John U. from the SLC PD for taking the initiative to install and try the program ahead of the training, and for actually reading the support documentation and watching the training videos. Also, thanks to John for making my time at SLC run smooth. It's always nice to hit the ground running. BTW, if you're interested in bringing a training session to your agency, just send a note. 2015 is going to a busy training year, but there's still some openings in my calendar.